Saturday Night Social: Congrats to This Couple Who Wedded on a Swing Hanging from a Motorcycle on a Tightrope! Sometimes truth is just crazier than the deranged scrawlings on the walls of my empty Saturday evening skull. 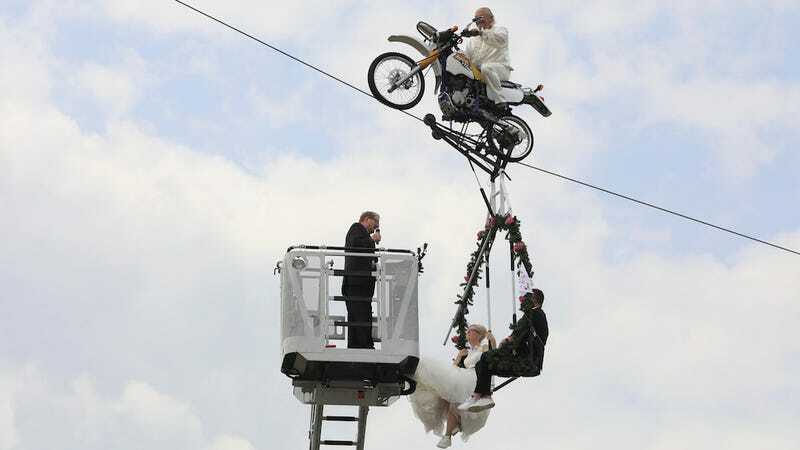 A couple in eastern Germany have gotten married in a swing dangling from a motorcycle atop a tightrope, 14 meters (46 feet) above the ground.